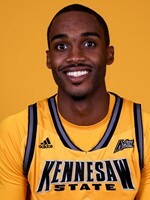 Well the simple answer to what to expect from Kennesaw State basketball this year is: I don’t know. The men and women’s programs have made waves since the end of last season and mostly for the wrong reasons, but that is a can of worms that has been opened and hopefully shut by now. The bright side of things has to lie with the men’s team landing former National Coach of the Year, Al Skinner, to lead to downtrodden program. Kennesaw State’s roster – coaching staff as well — has been a revolving door since Tony Ingle left the school. This year will be no different with a new staff in place and five newcomers joining just six players from last year’s team. Official practice began last Friday and back is senior point guard Yonel Brown who exploded onto the scene after two pedestrian years. Brown finished third in the A-Sun and led the Owls in scoring with 15.2 points per game. Six-foot-seven forward Nigel Pruitt also blossomed into a reliable player and returns for his senior year as well after scoring 12.2 points a night, good for second-best on the team. Metro Atlanta hasn’t exactly been pounded for recruiting yet, but Skinner did land a potential gem in Tracy Hector. The 6-foot-4, 212-pound swingman won back-to-back state championships at Jonesboro High School. As a senior, Hector averaged over 12 points and six rebounds a game, but he made a name for himself with his tenacious defense. He is a strong athlete that can lock down ball handlers with his ‘in-your-face’ defense while offensively; he attacks the bucket and goes after every loose ball. Kyle Clarke is another new addition to the backcourt, standing 6-foot-5 as a combo guard. Clarke hails from Florida and has shown a knack for getting into the lane on offense. Skinner went overseas to land Josh Burnett, another guard that can play forward, from Hawaii. Kosta Jankovic and Aubrey Williams round out the new faces on the roster while Quinnipiac transfer Kendrick Ray is finally eligible to play after having to sit out a season. Better Times On The Horizon? So with a new coaching staff and turned over roster, can we expect KSU to take the next step in becoming a respectable program and not just another cupcake on everyone’s schedule? We will know right away. After a home tilt with Middle Georgia, Kennesaw hits the road to play Alabama, LSU and Arizona State. West Virginia, Louisville and Indiana all loom on the schedule as well. The Owls will definitely take some lumps, but coach Skinner needs to see what kind of mettle his team has when facing adversity to be able to find out if his group improves from game to game or if they take beatings and not learn anything from them like they haven’t in the past. The one positive for KSU is that the A-Sun continues to get weaker and weaker each season with the top programs getting plucked by bigger conferences seemingly every year. This time it is Northern Kentucky, who has only been a D-1 program for three seasons going on four now, that was added to the Horizon League. 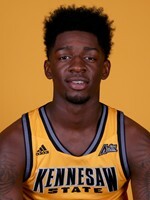 Meanwhile, Kennesaw State has sat and stewed in the A-Sun since 2005-06 and has yet to make it out of the annual cellar. NJIT joins the conference, coming off its best record in school history since joining D-1 the same year as KSU, winning 21 games in 2014. 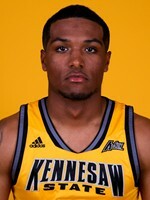 Under coach Skinner, Kennesaw should at least be a competitive team. Losses to conference foes by 36 points should be a thing of the past by now. When watching the Owls play these power conference teams early in the season, losses to annual juggernauts Indiana and Louisville are acceptable. But if KSU lays an egg against an average power conference team like Alabama like they did against Syracuse (89-42), Cal (93-59) and Illinois (93-45) last year, then there is reason to be concerned. Is there reason to be optimistic this year? Yes there is, but if the team can’t stay competitive with the big schools early on (L by < 30), don’t expect much come conference play. The long awaited decision on who will be Kennesaw State’s new basketball coach was finally set in stone this Sunday. Vaughn Williams and company pulled a rabbit out of their collective hats with the hiring of Al Skinner. The 62-year-old Skinner is the perfect hire on paper for a program that has been one of the worst in the nation since 2010. The Owls needed a proven winner with experience leading young adults. For once in my life I can finally say, I think Kennesaw State got this one right. Skinner is definitely no spring chicken, but what he does bring to the program is credibility. You can tell it by his look: A toothy smile, nearly bald, Skinner has been through some battles as both a player and coach and expects nothing but excellence. He was a standout at UMass as a player in the early 70s and was subsequently drafted by the Boston Celtics of the NBA, but instead decided to play in the ABA with the New York Nets and Hall of Famer Julius Erving. No knock on Jimmy Lallathin, but he wasn’t able to tell his players he went shoulder-to-shoulder with some of the best players the game has ever seen. Skinner even has a shiny championship ring he won during his second professional season to get players’ attentions. As a coach, Skinner started out as an assistant at Marist and Rhode Island before eventually taking over the head coaching job with the Rams in 1988. There he enjoyed a successful run in the A-10, amassing a respectable record of 138-126 in nine seasons. Skinner landed the Boston College job for the 1997-98 season and began a wildly successful run considering the juggernauts which resided in the Big East and eventually the ACC. In 13 seasons he ran up a record of 247-165 while collecting three Big East regular season championships and one tournament championship. Kennesaw State, lowly little Kennesaw State, who has suffered through a 30-125 record over the past five seasons really just landed a one-time A-10 Coach of the Year, two-time Big East Coach of the Year and the 2001 National Coach of the Year?! Yes, you aren’t dreaming, that just happened. 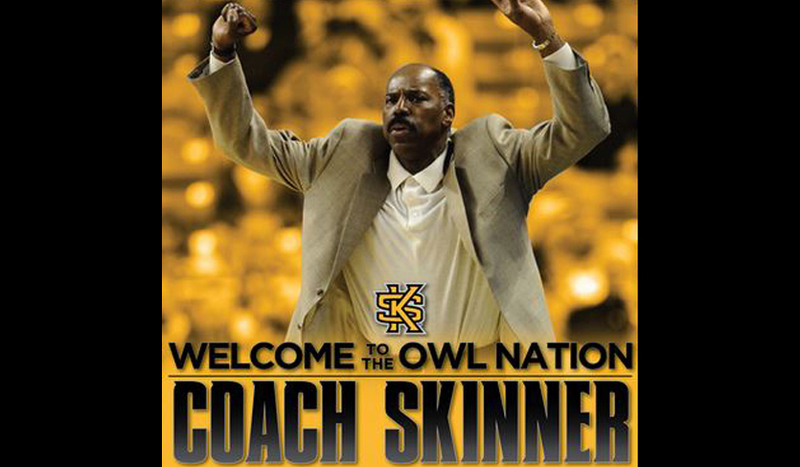 The Owls have won just 85 games during their 10 years as a Division One program; take a four-year stretch from 2003-04 to 2006-07 and Skinner won 98 games alone. If players won’t buy in now that Skinner is at the helm, they will never buy in. 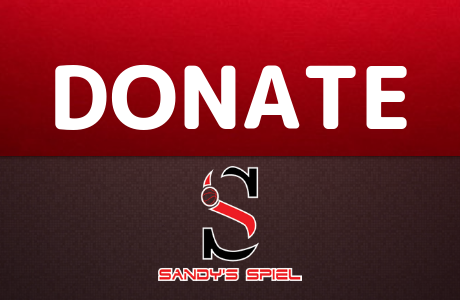 He has sent the likes of Craig Smith, Sean Williams and Jared Dudley to the pros from Boston College. Not all-stars, but all serviceable NBA players that have played a handful of seasons in the association. Skinner was fired from Boston College on March 30, 2010. He has been working as an associate head coach at Bryant University, who much like Kennesaw State was years ago, is in its infancy as a Division One program transitioning full-time in 2012. So what’s the knock on Skinner? I’m sure you could take a few guesses, but one major one is that he is old and won’t recruit the area like he should. It’s a decent argument, but I doubt that the former National Coach of the Year is leaving from the comforts of the Rhode Island area to come to Kennesaw just to collect a check and cash it in. Sometimes there is a thing called pride that can push old veterans to the peak of their game. Surely Skinner won’t want to end his career with a flop. Time will tell if this hire was correct or not. If it is a homerun, Kennesaw can finally host a basketball program they are proud of; if not, the program will continue to remain in shambles. The first week of the NCAA Tournament is now complete, and I don’t think there is anyone questioning why they call the tournament “March Madness”. My bracket along with 99.9 percent of everyone else’s bracket has been shattered with the likes of Virginia, Villanova, Baylor, Iowa State, and Kansas all failing to advance to the sweet sixteen. The heartbreak has been palpable for some higher seeds, but that means some underdogs got to put on the glass slipper for a moment and steal the spotlight. Atlanta’s own Georgia State was the darling of the tournament with the storyline of an injured head coach with his star player being his son, and of course the return of Kevin Ware to the tournament after a gruesome injury just two seasons ago. March is a mixture of emotions for fans and players alike. As a fan, if you have a horse in the race that is a high seed, it takes guts to pick against them and it can be heart wrenching to know you need your favorite school to lose to be able to win your bracket pool. With all the crunching of the numbers, at the end of the day the NCAA Tournament is a complete crapshoot. Teams can have poor shooting performances, referees can botch calls (see SMU-UCLA), and injuries can occur but that is what makes the tournament so great. The games aren’t played on paper; they are won and lost on the court. For the high majority of these players that are seniors, this is their final time playing basketball on a big stage. Many will simply graduate and pursue a career in something other than basketball while some will chase the dream overseas and will eventually become a distant memory in a few years. The fact that March Madness is unpredictable is the reason why the first two days of games played are the least productive work days all year. Eyes are glued to unsung heroes and schools that you never knew existed and wouldn’t even fathom trying to find on a map hold your emotions—and sometimes wallets—in their hands. It’s the one time of year where someone can not watch a lick of basketball the entire season, but can confidently say, “this will be the perfect bracket”. As important as it is to study the game and compare and contrast styles, once the ball is tipped everything goes out the window. It is important to remember to enjoy the tournament and to appreciate student-athletes putting everything out on the line. Don’t get bogged down with the stress of your bracket crumbling (which it always does), or the fact that your favorite team got ousted way too soon. March is a month long celebration of talent, teamwork and togetherness. The tournament brings families and friends alike together to root on their favorite teams or pray for the wildest of finishes. The excitement that the tournament brings makes it unparalleled to any other sport. If your team makes the field of 65, you have a chance no matter what the pundits say. A 16-seed will beat a number one very soon and when that happens, the entire tournament will be turned upside down. Though some argue about the quality of the college game with players leaving early and low scoring, we can all agree that there is nothing quite like March Madness. Of course the Ospreys need to beat Robert Morris tonight to officially have a chance to dance, but coming from the A-Sun, these birds know how to play. Six players average over eight points per game so Coach Matthew Driscoll has plenty of options offensively. Sophomore guard Dallas Moore leads the team in scoring at 15.9 per game. He is a lethal three-point shooter who nails nearly two a game at a 39.5 percent clip. He exploded for 36 points in a win over Lipscomb earlier this year. Beau Beech and former Eagles Landing High School standout Chris Davenport play big roles inside while Trent Mackey is the designated sniper from beyond the arc hitting 44 percent of his long balls. North Florida has a tall task with Duke if they get past Robert Morris but remember, the Blue Devils didn’t fare so well last time they played an A-Sun school in the tournament, losing to Mercer in the first round last season. Another low seed with former ties to the A-Sun, the Bruins are one of the nation’s top three-point shooting teams connecting on 10 a game. They will have to catch fire from deep as they face the number one defense in the nation, the Pack-Line defense of Virginia. Belmont struggles defensively allowing over 70 points per game and relies on its offense to beat teams. Head Coach Rick Byrd is a mid-major legend and counts on a trio of guards to carry the Bruin offense. Craig Bradshaw averages 18.1 points while shooting 41.6 percent from downtown. 6-foot-6 Evan Bradds averages 14.3 points and 7.2 rebounds and is a more of an inside presence than shooter. Lastly Taylor Barnette, a Virginia transfer, gets a shot at his old team and enters as the Bruins’ top three-point shooter drilling 83 of them. The combination of a great coach and a team that can get hot from distance could give Virginia fits if the Cavs get off to a slow start. The Panthers are dancing for the first time since 2001 and have an explosive backcourt to thank. R.J. Hunter (19.8) and Ryan Harrow (18.7) lead the action up front but it has not been as smooth a season as the numbers portray. Hunter has struggled with his shot this season making just 30 percent of his 247 three-point attempts. Harrow has been dynamic and efficient making 50 percent of his total field goal attempts, but he has been hampered with injuries all season, missing or leaving early in eight games. The former Walton Raider missed the Sun Belt championship with a strained hamstring and will try to come back healthy for a meeting with Baylor. If healthy, Harrow and a straight shooting Hunter could power the Panthers over the Bears, but Baylor is the nation’s top rebounding team while Georgia State is one of the nation’s worst total rebounding squads. Markus Crider, T.J. Shipes, and Curtis Washington must hold their own inside against Rico Gathers if the Panthers want a legitimate shot at making some noise. The high-flying Eagles will look to shoot down the Hoyas with their potent scoring attack. Eastern Washington averages over 80 points per game and is powered by an offense that connects on 40 percent of their three-pointers. Sophomore Tyler Harvey leads the nation in scoring at 22.9 a night and bangs home nearly four long balls a game. Venky Jois is a skilled big man that averages 16.6 points, 7.7 rebounds, 2.1 assists, and 2.2 blocks. They have proven they can hang with the big boys registering losses at SMU by nine, Washington by four, and Cal by 11 while picking up a two-point road win at Indiana. Georgetown has had a woeful time in the tournament lately falling to Florida Gulf Coast in 2013. The last time the Hoyas advanced past the second round was back in 2007. They have been hot-and-cold in a Big East conference that didn’t blow the doors off this season, and look like they may be primed for another first round exit. The Lumberjacks are back in the tournament as a 12-seed and will look to improve upon a second round exit a year ago. They average 79.5 points and are led by do-everything junior Thomas Walkup. The versatile guard averages 15.7 points, 6.4 rebounds, and 3.7 assists. Jacob Parker is another forward that the offense runs through as he averages 14.1. Parker is also an efficient three-point shooter at 47 percent. The ‘Jacks went 0-2 vs. Top 25 teams this year losing to Baylor and Xavier by 16 and 18, but pushed Northern Iowa to the brink in overtime before bowing out and falling 79-77. Utah has been on the precipice in years past of becoming a traditional west coast power, but things have fallen through. Their last tournament appearance was in 2009 as a 5-seed where they were bounced in the first round by Arizona. The Utes rely on a stingy defense but SFA will not be afraid to let it fly. After soaring to the Elite Eight a year ago as an 11-seed, the Flyers have a chance to do so again if they can beat Boise State in their play-in game. Dayton will be playing home games in the East side of the bracket in Columbus, OH. The Flyers would venture out of Ohio for the first time in the tournament in round three if they make it that far. Home court advantage coupled with the experience of a deep run a year ago makes Dayton an easy pick to have a chance to do so again. Since transferring from Ohio State, Jordan Sibert has blossomed into a go-to scorer as a senior guard. He averages a team-high 16.5 points per game and came up big in last year’s Sweet 16 meeting with Stanford where he scored a team-high 18 points. Dyshawn Pierre and Kendall Pollard are strong forwards while Scoochie Smith provides some New York City toughness at the point. Providence would be Dayton’s first round matchup. The Friars lost to Villanova by two in the Big ast Semifinals. A 10-seed from a power conference, the Buckeyes matchup with VCU and its Havoc defense. VCU preys on weak ball-handlers and unsure guards but Ohio State has an extremely sturdy backcourt mixed with youth and experience. Senior Shannon Scott out of Milton has seen the likes of Michigan State and Wisconsin throughout his career and is no stranger to facing tough defenses. Scott is a sure-handed point guard who leads the Big Ten with 5.9 assists per game and also gets after it defensively ranking third in steals with 1.8. His main job is to distribute the ball while fabulous freshman D’Angelo Russell does it all. At 6-foot-5, Russell finished second in the conference in scoring at 19.3 and also added 5.6 rebounds and 5.1 assists per game. He can beat you in every way possible hitting 76 percent of his free throws while also nailing almost three three-pointers a game at a 41.5 percent clip. If Scott and Russell can handle the Havoc defense and get everyone else involved, the ‘Bucks should be able to pick apart a VCU team without its defensive leader Briante Weber. 9-8 games are usually a tossup, but LSU has some favorable measurements. Though the Tigers played in the weak SEC, they picked up wins over Arkansas and Georgia while snagging a one-point win over West Virginia in non-conference play and also dropped a heartbreaker to Kentucky by two. The Tigers are strong inside with Jordan Mickey (15.5 pts, 9.8 reb, 3.6 blk) and Jarell Martin (16.9 pts, 9.2 reb). Both big men are only sophomores and give Coach Johnny Jones the best interior one-two punch offensively in the SEC. Tim Quarterman out of Johnson, Savannah has emerged as an all-around player in his sophomore season averaging over 11 points, five rebounds and a tick under four assists per game. The Tigers aren’t a great three-point shooting team (33.9%) but are led by Keith Hornsby who hit 70 this season. While LSU’s power lies inside, NC State counters with strong guards. If the Tigers can control the Wolfpack upfront, they should have a good shot to pound it inside and dominate the paint.